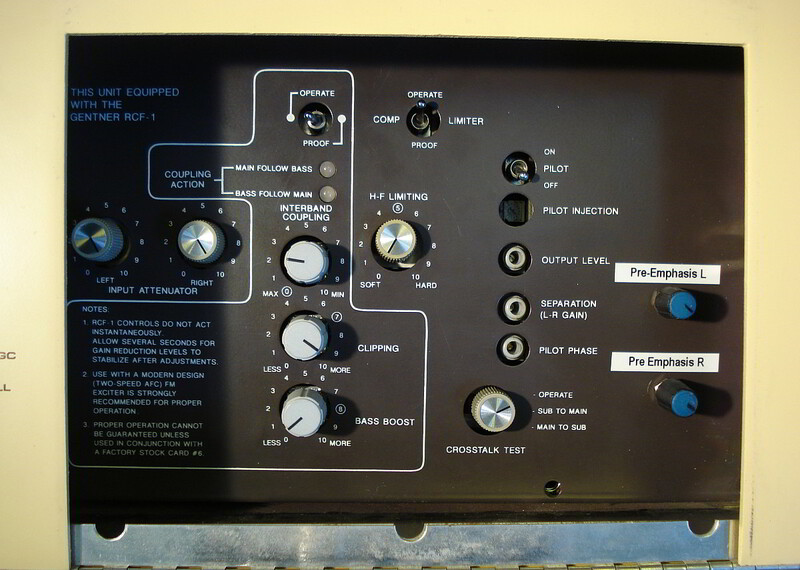 The new controls, one for Left channel and one for Right, are added to the control panel behind the access door. 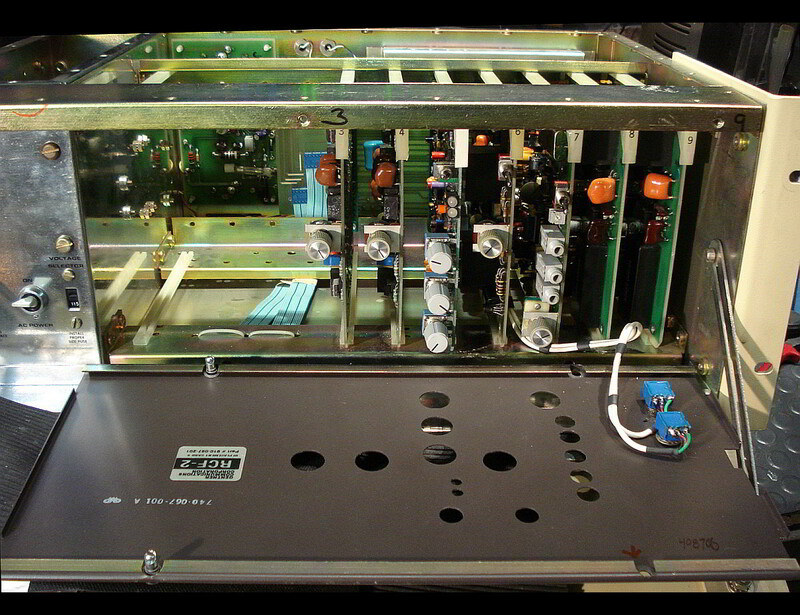 View looking inside and behind front panel. Wires from newly added high frequency emphasis controls can be seen running into card cage, where they are spliced into just the right point in the circuitry to allow for complete variability. 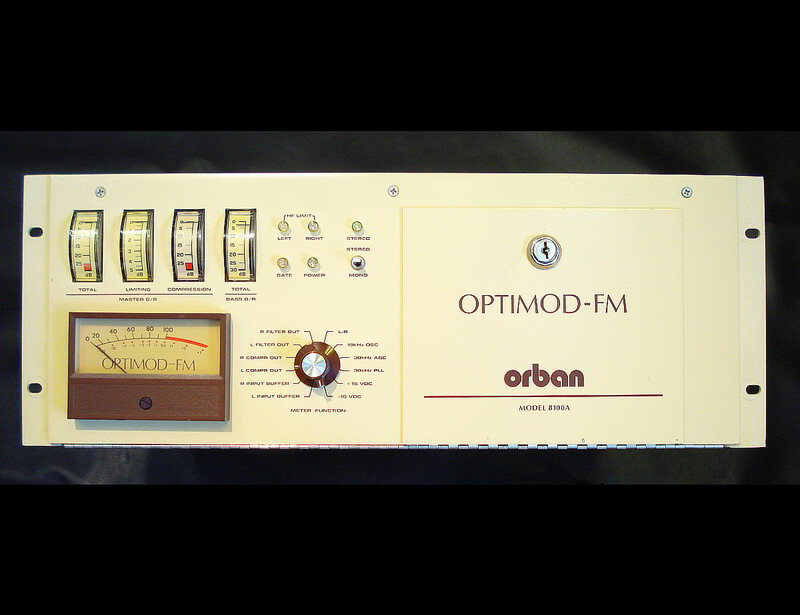 The Orban 8100A and 8180A processors were originally designed for broadcast audio ( radio and tv stations), with secret circuitry to keep high frequencies optimized even when the received signal is weak or wavering, such as near the edges of a broadcast stations allotted range. Additionally these processors evened out high frequency differences between songs, commercials and announcer voice. These processors and others like it can actually improve a recording that is a bit dull relative to the norm, and record buyers have often remarked that the vinyl or cd etc they purchased did not sound as good as it did when they first heard it on the radio. 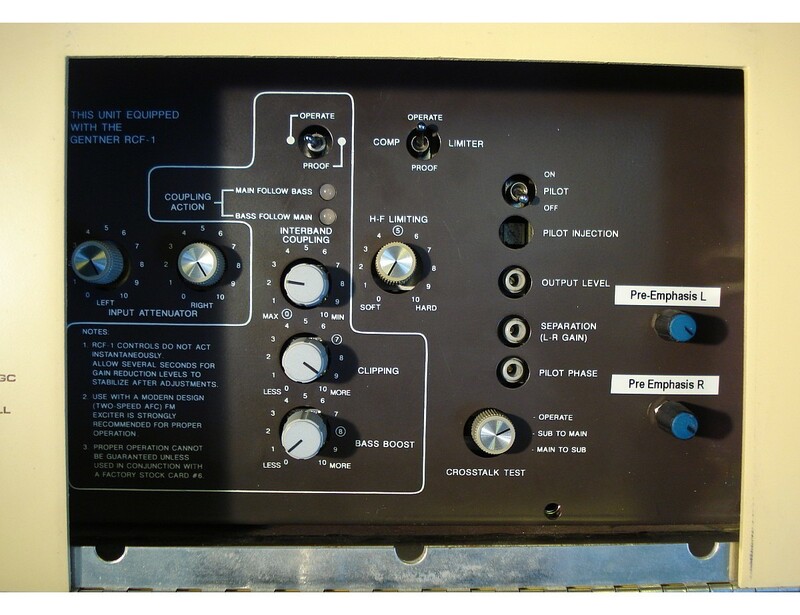 Sometime in the early 1980s some music recording engineers and producers began using the processors during the music recording and mixing phases. Not a lot is known about exactly how these processors were used during production...it’s thought they were used selectively on individual instruments and maybe sometimes, but not too often on the entire mix. 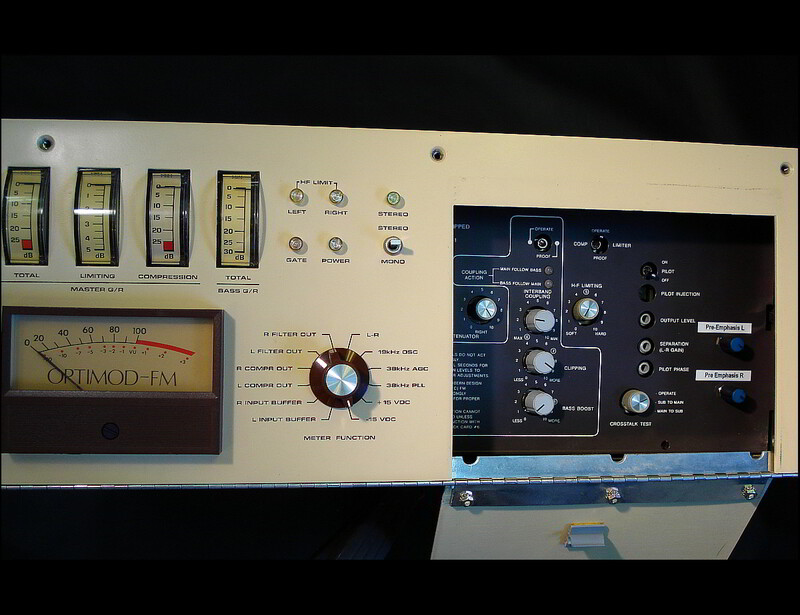 The amount of added high-frequency was not adjustable, and during music production was often just way too much. The solution requires only adding a couple resistors and pots at just the right point in the circuit to get total control over the amount of added high frequency emphasis.